Tried to analyze my 28600+ cells table in Statistica. It died horribly. Did the same in PAST. Gave me the results I needed instantly. 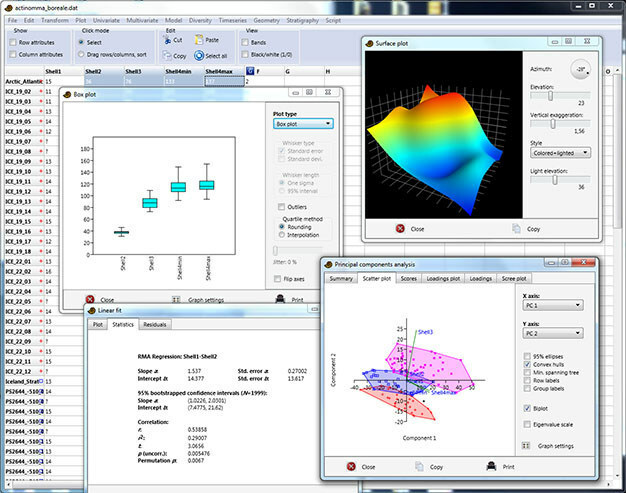 It is very nice and handy program and it is the best among freeware for statistic in my opinion. Respect to authors. Given its size and portability, this is an incredibly powerful package for statistical analysis in the social and behavioral sciences. If you use a UPX compressor, the single executable can be compressed to 648KB without loss of functionality!